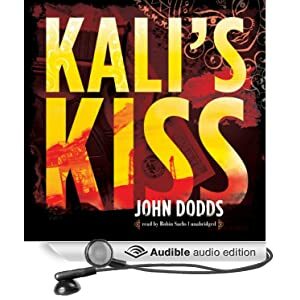 A really excellent new crime magazine, Noir Nation, has interviewed me this month, on the eve of the launch of my second crime novel in audio, Kali’s Kiss. You can also listen to a short sample of Robin Sachs reading the novel on the Blackstone Audio website. I recently made the acquaintance of a terrific singer-songwriter, Jonathan Taylor. Like me, from the UK but now living in Bulgaria. The following song is one I had the privilege to hear live at a party in our home a few weeks back. It’s inspired by a true story of a man who left a message on his wife’s answer machine just before he died in the twin towers on 9/11. Very moving. Jonathan has a number of albums out, and song downloads. I do urge you to support him by purchasing some of his music. Jonathan will also be the subject of one of my occasional blog interviews with creative people Look out for it.